I received a free physical copy of this picture Book from the publisher in exchange for an honest review. All thoughts and opinions are my own. What is love to you? Is it hugs, gifts, or maybe spending time with family and friends? This sweet little book focuses on love, in all its many forms; from baking with family and friends to gifting or sharing chocolates, gathering flowers for someone to make them smile to drawing greeting cards, and maybe even just leaving someone a special message. There are many ways to express and share love! 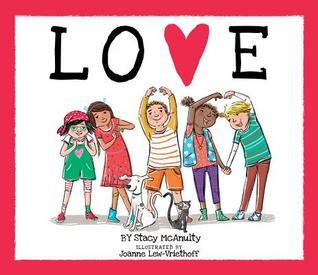 I was happy to see that this picture book features sign language in some of the illustrations, from the singular letters spelling 'love' to the hand signal for love. There's even a book clearly labeled 'sign language' in one of the images! 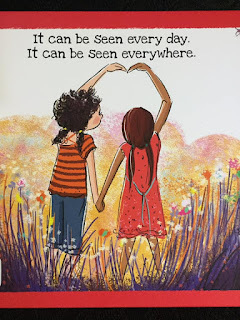 I also loved that there is such a diverse array of human beings in this picture book! 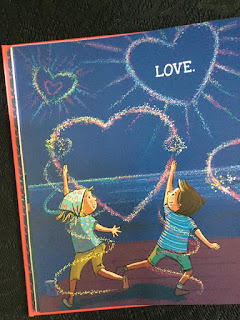 Beautifully illustrated with a heart-warming message about celebrating love!